Sibal, former Union minister, took the dig at the government while referring to the goings on in the CBI, the country's premier investigating agency which he dubbed as a "caged parrot". Alok Verma's removal. 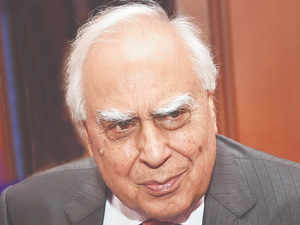 The Committee ensured the caged parrot did not fly away fearing the parrot might spill the beans, Sibal said. A day after a high-powered committee headed by Prime Minister Narendra Modi removed CBI Director Alok Verma, Congress leader Kapil Sibal on Friday said the panel had ensured that the "caged parrot" did not fly away, fearing it might spill the beans. Sibal, an eminent lawyer and a former Union minister, took the dig at the government while referring to the goings on in the Central Bureau of Investigation (CBI), the country's premier investigating agency which he dubbed as a "caged parrot". "Alok Verma's removal. The Committee ensured the caged parrot did not fly away fearing the parrot might spill the beans by parroting the goings on in the corridors of power. The caged parrot will remain caged," he said on Twitter. Two days after the Supreme Court reinstated him, Verma was removed as the CBI director by the committee on Thursday on charges of corruption and dereliction of duty, in an unprecedented action in the central probe agency's 55-year history.